As we recap, we have learned about the root, sacral, solar plexus, heart, throat, and the third eye.These are all important, however, there is still one more important chakra to make up the 7. 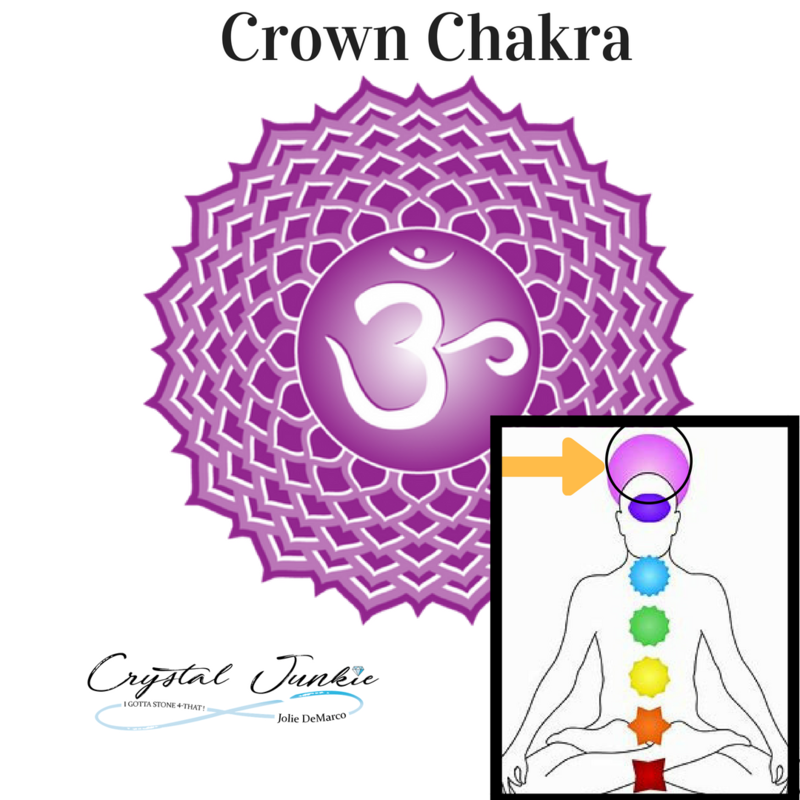 It is called the crown chakra (Sahasrara). which is our 7th chakra. It is a chakra of pure awareness, thought, and universal identity. This chakra focus is silence, pure thought, clear space that will connect us to our higher self. As you can view in the picture, the crown is located at the top of the head or the crown of the head. It is symbolized by a lotus with one thousand petals. The color of violet is used to represent this chakra. Violet is the highest color in the light spectrum. The crown chakra is associated with wisdom and consciousness as pure awareness. This is known as a timeless place of all-knowing and pure being. The body parts linked to the crown chakra consists of the pineal gland, upper brain, and the right eye. The personality characteristics associated with this is imagination, shame and wonder. Now, whenever the crown chakra is not balanced, one may feel anxiety, confused, depressed, have lack of inspiration, restlessness, and dissatisfaction. Whenever the chakra is balanced, one will feel inner peace and spiritual tranquility. We then can connect to our spiritual or higher self, find wisdom, have vitality, experience intuitive awareness, passion and dignity. We have reached the last chakra in our 8 part series. If you would like to learn more about chakras through questions or available classes visit your local metaphysical center.